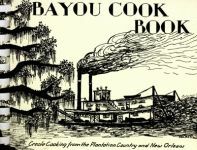 Vintage photographs of the good ol’ days near the Bayou Teche lure readers and chefs alike into a unique world full of history and descriptions of the locations where Acadians still dwell. In prose that captures the essence of the culture, Butler presents sights and smells—not to mention tastes!—of this fascinating culture. Dishes like campstyle crawfish étouffée and pear-jalapeno marmalade are sure to delight the whole family. 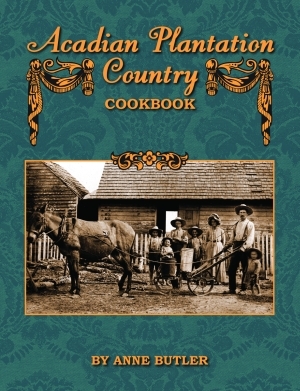 Butler’s Audubon Plantation Country Cookbook, published in 2004, by Pelican, was named the best new cookbook of the year by Louisiana Life magazine, and without a doubt, this new culinary masterpiece is sure to follow in its shrimp-boot-clad footsteps! A graduate of Sweet Briar College in Virginia, with an MA in English from Humboldt State in California, Anne Butler has worked as a journalist, writer, and editor on both coasts. She is the author of a dozen books, including Bayou Plantation Country Cookbook and Weep for the Living, also published by Pelican. Butler operates a bed and breakfast at her family homestead, the historic Butler Greenwood Plantation, which has been in the family since the 1790s. She knows the area’s virtues, vices, and how to make a good story out of both.